Dyes are an important class of pollutants which when discharged into water resources can be toxic to the aquatic environment and cause serious problems for public health. Various treatment technologies such as adsorption are in use. For this reason, clinoptilolite was used as a low-cost adsorbent to remove color from aqueous solution. Clinoptilolite was modified with sulfuric and phosphoric acids in order to adsorp aqueous direct red 23. The batch adsorption experiments used dye concentrations ranging from 50 to 200 mg/L. Scanning electron microscopy (SEM), X-ray diffraction (XRD), X-ray fluorescence (XRF), and Fourier transform infrared spectra (FTIR) were used to determine properties of clinoptilolite. To evaluate the experimental data, adsorption isotherms and kinetics were studied. The results showed that experimental data followed both Langmuir and Freundlich isotherms, with a correlation coefficient of 0.95–0.99. Kinetic studies showed that adsorption followed pseudo first-order kinetics. The adsorption results showed that acid-modified clinoptilolite with maximum adsorption capacity of 0.0009 mmol/g was a superior adsorbent compared with unmodified clinoptilolite, according to Langmuir equation. It caused adsorption efficiency in terms of Si/Al ratio 7.5 after 200 min of contact of between 31% to 60%. According to the Dubinin-Radushkevich isotherm model, mean free energy of adsorption (8.2–8.9 kJ/ mol) means that adsorption might follow a weak chemisorption mechanism. We conclude that adsorbing properties of clinoptilolite, a cheap and abundant adsorbent, can be improved and used for removing dyes from wastewater. 1. Lamia M, Fatiha D, Mohammed B, Ayada D. Adsorption of Methyl Green onto Zeolite ZSM-5 (pyrr.) in aqueous solution. Orient J Chem 2016; 32(1): 171-180. 2. Aguila DMM, Ligaray MV. Adsorption of eriochrome black T on MnO2-Coated Zeolite. Int J Environ Sci Dev 2015; 6(11): 824. 3. Kashefialasl M, Hasani AH, Aghanouri Z. Removal of Methylene Blue dye from Aqueous Solution by Modified Zeolite with Copper Oxide Nanoparticles. Int J Adv Biotechnol Res 2016; 7(3): 1410-1423. 5. Khanday W, Asif M, Hameed B. Cross-linked beads of activated oil palm ash zeolite/chitosan composite as a bio-adsorbent for the removal of methylene blue and acid blue 29 dyes. Int J Biol Macromol 2017; 95: 895-902. 6. Cheng WY, Li N, Pan YZ. The adsorption of Rhodamine B in water by modified zeolites. Mod Appl Sci 2016; 10(5): 67. 7. Abdi J, Vossoughi M, Mahmoodi NM, Alemzadeh I. Synthesis of amine-modified zeolitic imidazolate framework-8, ultrasound-assisted dye removal and modeling. Ultrason Sonochem 2017; 39: 550-564. 8. Hadi M, Mckay G, Samarghandi MR, Maleki A, Solaimany Aminabad M. Prediction of optimum adsorption isotherm: comparison of chi-square and Log-likelihood statistics. Desalination Water Treat 2012; 49(1-3): 81-94. 9. Maleki A, Daraei H, Alaei L, Abasi L, Izadi A. Dye removal probing by electrocoagulation process: modeling by MLR and ANN methods. J Chem Soc Pak 2012; 34(5). 10. Shahmoradi B, Maleki A, Byrappa K. Photocatalytic degradation of Amaranth and Brilliant Blue FCF dyes using in situ modified tungsten doped TiO2 hybrid nanoparticles. Catal Sci Technol 2011; 1(7): 1216-1223. 11. Maleki A, Shahmoradi B. Solar degradation of Direct Blue 71 using surface modified iron doped ZnO hybrid nanomaterials. Water Sci Technol 2012; 65(11): 1923-1928. 12. Mahmoodi NM, Sadeghi U, Maleki A, Hayati B, Najafi F. Synthesis of cationic polymeric adsorbent and dye removal isotherm, kinetic and thermodynamic. J Ind Eng Chem 2014; 20(5): 2745-2753. 13. Maleki A, Erfan M, Mohammadi AS, Ebrahimi R. Application of commercial powdered activated carbon for adsorption of carbolic acid in aqueous solution. Pak J Biol Sci 2007; 10(14): 2348-2352. 14. Al-Anber M, Al-Anber ZA. Utilization of natural zeolite as ion-exchange and sorbent material in the removal of iron. Desalination 2008; 225(1-3): 70-81. 15. Chang W-S, Hong S-W, Park J. 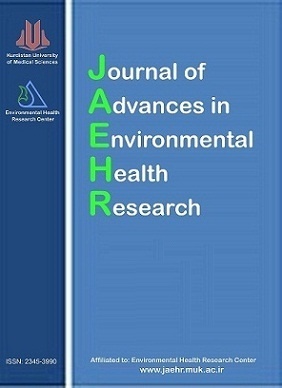 Effect of zeolite media for the treatment of textile wastewater in a biological aerated filter. Process Biochem 2002; 37(7): 693-698. 16. Oei BC, Ibrahim S, Wang S, Ang HM. Surfactant modified barley straw for removal of acid and reactive dyes from aqueous solution. Bioresour Technol 2009; 100(18): 4292-4295. 17. Singaravel GP, Hashaikeh R. Fabrication of electrospun LTL zeolite fibers and their application for dye removal. J Mater Sci 2016; 51(2): 1133-1141. 18. Zhang Y, Yu F, Cheng W, Wang J, Ma J. Adsorption Equilibrium and Kinetics of the Removal of Ammoniacal Nitrogen by Zeolite X/Activated Carbon Composite Synthesized from Elutrilithe. J Chem 2017; 2017. 19. Kocaoba S, Orhan Y, Akyüz T. Kinetics and equilibrium studies of heavy metal ions removalby use of natural zeolite. Desalination 2007; 214(1-3): 1-10. 20. Roque-Malherbe R. Complementary approach to the volume filling theory of adsorption in zeolites. Microporous Mesoporous Mater 2000; 41(1-3): 227-240. 21. Stylianou MA, Inglezakis VJ, Moustakas KG, Malamis SP, Loizidou MD. Removal of Cu (II) in fixed bed and batch reactors using natural zeolite and exfoliated vermiculite as adsorbents. Desalination 2007; 215(1-3): 133-142. 22. Benkli Y, Can M, Turan M, Celik M. Modification of organo-zeolite surface for the removal of reactive azo dyes in fixed-bed reactors. Water Res 2005; 39(2-3): 487-493. 23. Çoruh S. The removal of zinc ions by natural and conditioned clinoptilolites. Desalination 2008; 225(1-3): 41-57. 24. Mirzaei N, Hadi M, Gholami M, Fard RF, Aminabad MS. Sorption of acid dye by surfactant modificated natural zeolites. J Taiwan Institute Chem Eng 2016; 59: 186-194. 25. Chao CC, Rastelli H. Process for modifying clinoptilolite adsorbent. Google Patents; 1992. 26. Ghobadi M, Yuzbashi A, Kashani Motlagh M. Study on structural changes occurred during the acid activation of Gharenaz bentonite as bleaching earth. Iran J Crystallogr Mineral 2008; 16(1): 13-20. 27. Tran HN, Van Viet P, Chao H-P. Surfactant modified zeolite as amphiphilic and dual-electronic adsorbent for removal of cationic and oxyanionic metal ions and organic compounds. Ecotoxicol Environ Saf 2018; 147: 55-63. 28. Dang V, Doan H, Dang-Vu T, Lohi A. Equilibrium and kinetics of biosorption of cadmium (II) and copper (II) ions by wheat straw. Bioresour Technol 2009; 100(1): 211-219. 29. Ebrahimi R, Maleki A, Shahmoradi B, Daraei H, Mahvi AH, Barati AH, et al. Elimination of arsenic contamination from water using chemically modified wheat straw. Desalination Water Treat 2013; 51(10-12): 2306-2316. 30. Dong H, Qu X-Y, Zhang L, Cheng L-H, Chen H-L, Gao C-J. Preparation and characterization of surface-modified zeolite-polyamide thin film nanocomposite membranes for desalination. Desalination Water Treat 2011; 34(1-3): 6-12. 31. Ates A, Hardacre C. The effect of various treatment conditions on natural zeolites: ion exchange, acidic, thermal and steam treatments. J Colloid Interface Sci 2012; 372(1): 130-140. 32. Vassylyev O, Hall GS, Khinast JG. Modification of zeolite surfaces by Grignard reagent. J Porous Mater 2006; 13(1): 5-11. 33. Matti AH, Surchi KM. Comparison the properties of zeolite NaY synthesized by different procedures. Int J Innov Res Sci Eng Technol 2014; 3(6): 2319-8753. 34. Tsapatsis M, Lovallo M, Okubo T, Davis ME, Sadakata M. Characterization of zeolite L nanoclusters. Chem Mater 1995; 7(9): 1734-1741. 35. Armağan B, Turan M. Equilibrium studies on the adsorption of reactive azo dyes into zeolite. Desalination 2004; 170(1): 33-39. 36. Gevorkyan R, Sargsyan H, Karamyan G, Keheyan Y, Yeritsyan H, Hovhannesyan A, et al. Study of absorption properties of modified zeolites. Chem Erde-Geochemistry 2002; 62(3): 237-242. 37. Armaǧan B, Özdemir O, Turan M, Celik M. The removal of reactive azo dyes by natural and modified zeolites. J of Chem Technol Biotechnol 2003; 78(7): 725-732. 38. Bulut Y, Aydın H. A kinetics and thermodynamics study of methylene blue adsorption on wheat shells. Desalination 2006; 194(1-3): 259-267. 39. Ngah WW, Hanafiah M. Adsorption of copper on rubber (Hevea brasiliensis) leaf powder: Kinetic, equilibrium and thermodynamic studies. Biochem Eng J 2008; 39(3): 521-530.